Algerian doctors call for protests against Bouteflika – Royal Times of Nigeria. Algeria’s doctors have called for mass protests against Abdulaziz Bouteflika during the country’s independence day celebrations on Tuesday, ratcheting up pressure on the ailing president who is clinging to power. 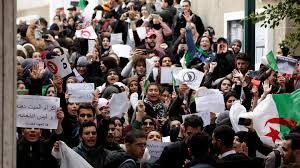 In a statement released on Monday, the independent Collective of Algerian Medical Residents (CAMRA) urged medical students to take part and denounce the “ruling gangs”. 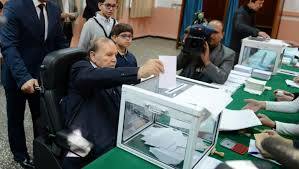 Algerians are desperate for new leaders to replace Bouteflika and other veterans of the 1954-1962 war of independence against France who dominate the country. The president, in power for 20 years, announced last week that he was reversing a decision to stand for a fifth term, but stopped short of standing down. He has postponed elections and promised to adopt a new constitution under a reform plan. The changes have brought no halt to demonstrations under way for more than three weeks against a ruling elite viewed as out of touch with a population suffering from economic hardship and corruption. Bouteflika, 82, has rarely been seen in public since a stroke in 2013, and protesters say he is unfit to rule. Since returning from medical treatment in Switzerland last week, the president has been losing allies, including senior members of the ruling National Liberation Front party, known by its French acronym FLN.